The sheet music notes for this ''Sea Shanty'' is in the key of D Major. 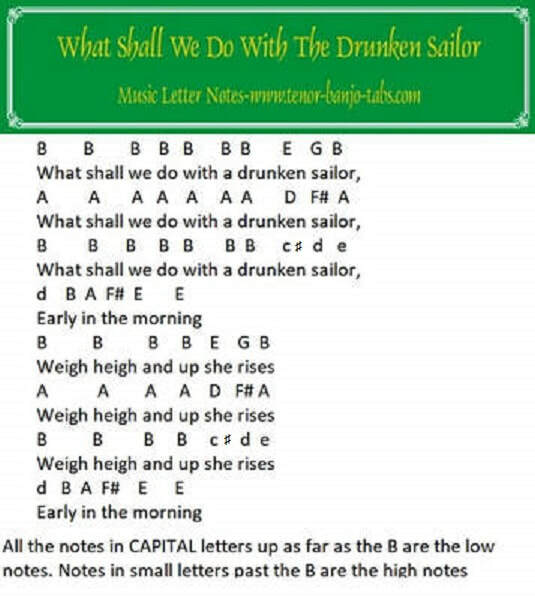 What shall we do with the drunken sailor easy letter notes are included with the piano keyboard keys to play on your right hand. This song is for the 4 string tenor banjo.